There’s a common phrase in legal circles: ignorantia juris non excusat – ignorance of the law excuses no one. In other words, not knowing about a law isn’t a good reason to violate it. The same principle holds true when you’re signing a contract. Most small business owners aren’t legal experts, and it’s easy to make a mistake that can lead to a legal battle you won’t win and causes harm to your business. One badly-constructed contract has the power to undo all the work you’ve invested in your company. Too many people don’t fully read contracts or understand their terms before signing them. As a result, they wind up being forced to fulfill terms they don’t like or are blatantly unfair – or that cost significantly more time or money than anticipated. No one likes to pay legal fees, but hiring an attorney to draft and review even the simplest of contracts is essential for protecting your company. There are many potential pitfalls that can lurk in jargon-filled contract language, but here’s a list of the most common problems to watch out for before your pen hits paper to sign. Not making a contract at all. Once upon a time, a promise may have been enough to guarantee a business outcome. But promises aren’t enforceable under the law – leaving you without any recourse if people don’t behave honorably. Well-written contracts prepare for the uncertainties of business and life – perhaps a business partner is leaving or a vendor flakes and you must quickly find a replacement. Contracts force both parties to think through all the relevant issues of a business relationship and negotiate tougher ones before heated emotions are a factor. They formalize an agreement and ensure that your business can seamlessly move forward under any circumstances. Assuming online contracts offer enough protection. Well-written contracts close legal loopholes that could render them invalid or put your company at risk. Some business owners try to save money by using generic contracts they find online. And while that might work out for inconsequential agreements, think carefully about whether you can trust a generic document from an unknown source that isn’t familiar enough with your circumstances to be legally accurate and precise enough to offer ironclad protection. Courts have overturned contract cases based on the meaning of a single phrase – do you know the difference between “hereby assigns” vs. “hereby agrees to assign,” for instance? Only an experienced attorney can draft a contract that protects your business in its specific situation. Becoming a personal party. Read this carefully: signing a contract that includes you as a party on behalf of your business places you at personal risk with respect to that contract – even if you normally enjoy liability protection because your business operates as a corporation or limited liability company. It places you at risk for any disputes that arise out of the contract, exposes you to claims of harm by third parties that would otherwise go against your company, and co-mingles your personal assets with your company’s assets. It’s critical to make sure that your company – and not you personally – is the party to every contract your business enters. Omitting important terms. As a general rule: nothing is enforceable if it’s not in the contract. Letting the other side convince you that an important clause or term is “assumed” or “not needed” can lead to problems down the road. Make sure every item that’s important to you is addressed before you sign. Failing to set clear guidelines. Too many small business owners fail to include a contract clause that establishes clear guidelines upfront about how and when work should be completed – for instance, creating a timeframe; setting a finite number of revisions, modifications, or add-ons; or agreeing upon a fee or hourly rate for work that falls outside the scope of the original agreement. Failing to do so can thrust you into the red by forcing you to spend too much time on a project that’s run over. Including exact performance dates instead of general and vague time periods also protects you from vendors who take too long to complete their work. Failing to establish a performance standard. It’s easy to enforce a contract against a client who isn’t paying because the facts are clear. But the legalities are trickier in areas that are more subjective, such as poor performance. Being extremely specific about the goals, objectives, and deliverables of the other party will help you prove if they fail to meet their duties within the contract. Not defining what constitutes a breach. There is a lot that can go wrong in a business relationship: the other party doesn’t pay, the product isn’t what you expected or is delivered late, the quality is poor, or the vendor is just difficult to work with. Considering worst-case scenarios before a relationship starts and having a contractually defined process in place for addressing them makes it easier to remedy a bad situation. Forgetting to give yourself an out. Sometimes there isn’t a horrible misdeed that makes you want to end a business relationship. Perhaps you found a competitor who offers a lower price, new technology renders the work a vendor provides unnecessary, or you changed your business strategy and a company you hired no longer fits. Contracts shouldn’t only allow for termination in the event of a breach. Every party should have the right to give their business partners reasonable notice and exit the contract simply because it makes the most sense for their business. Not considering the best way to resolve disputes in advance. Contracts protect your business by creating a legally-enforceable agreement – but no one really wants to start an expensive court battle. One of the biggest mistakes small business owners make is failing to determine a better way to resolve disputes that may arise under the contract. Agreeing in advance to use an alternative mechanism such as arbitration or mediation can save your business a great deal of a headache and expense. Agreeing to broad indemnities that favor your clients. When you “indemnify” a party in a contract, you agree to absorb any losses they cause instead of seeking compensation, and to compensate them if something you do or don’t do causes them to experience a loss, damages, or a lawsuit from a third party. Unless you are being paid to verify that everything your client asks you to do won’t infringe on someone else’s patent or other rights, you should never agree to indemnify against all possible claims related to services you provide. 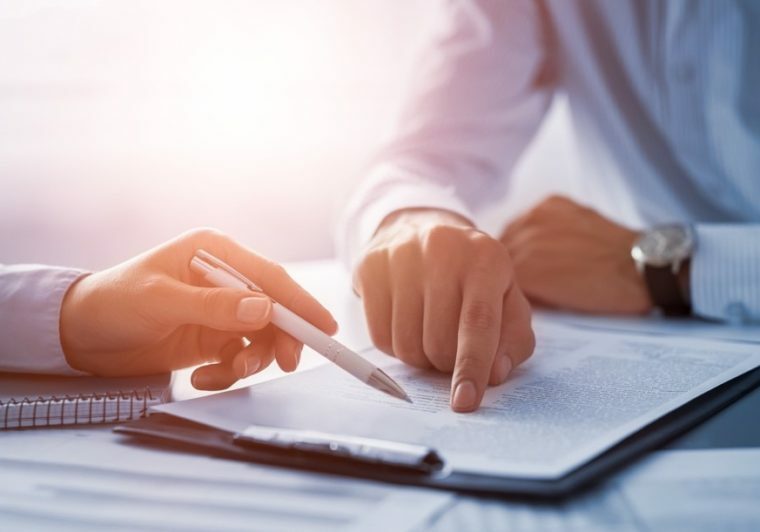 Well-executed contracts are an invaluable tool for small business owners – ensuring that all parties understand their rights and obligations in a relationship so fewer disagreements arise. But there are many ways contracts can cause serious consequences to your business if they aren’t drafted properly. An attorney experienced in contract law can help ensure that your contracts are legal, enforceable, free of loopholes, and offer ironclad protections to your business. Contract issues comprise an integral part of the South Florida business practice at the law firm of Padula Bennardo Levine, LLP. Contact our experienced attorneys today for a consultation.